Published Monday, September 5, 2016, OK personal/derivative use; link www.lovethatimage.com. 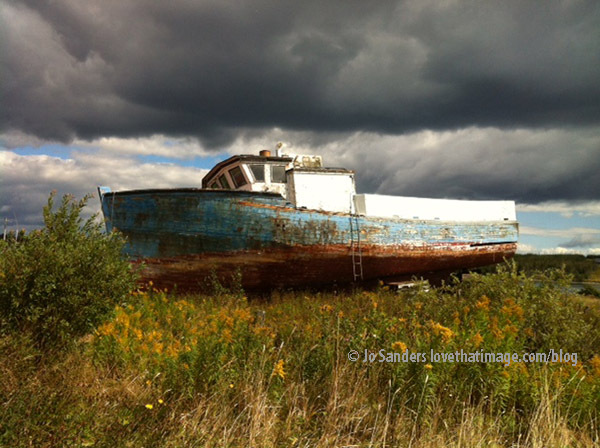 My sister Jo is traveling in Nova Scotia, in Canada, and saw a number of beautifully rusting boats in the village of Marie Joseph. And what a sky! I took the liberty of sharing this one with you. Linking to Our World Tuesday, Ruby Tuesday 2, Outdoor Wednesday, Photo Friday, Skywatch Friday, Orange You Glad It’s Friday, Scenic Weekends, Pink Saturday, and Saturday Show Off. 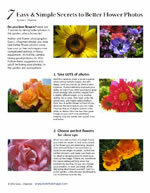 If you see only one photo here, click on the curly letters of Sara’s Fave Photos Blog above for a few more. Thanks! That is an amazing shot and the clouds really make it! I just love this photo of a rusting old boat that has lived a life on the seas and has now come to rest. The whole composition is dramatic! You so have to wonder about the story behind this don’t you? Lovely shot! This sky adds to the quality of this image. Excellent job! Have a great week-end. Great shot. Love the colours and textures. What an excellent shot of this old boat & the dark clouds really add a great touch to it. A very good photo of the boat! The intimidating clouds loom beautifully over the old boat. A stunning scene. What a marvelous shot! Glad you were able to share your sisters photo.